I'm a big fan of this but haven't tried it yet! 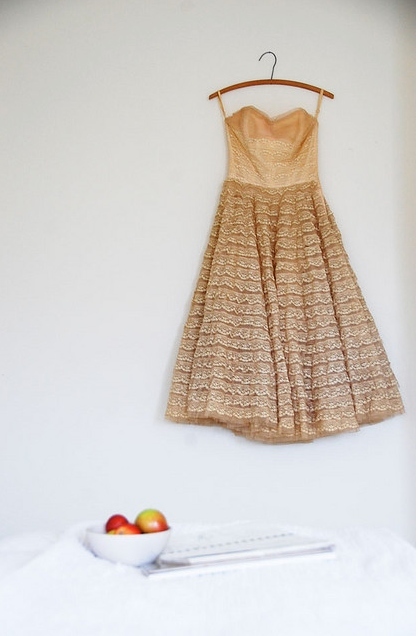 How lovely is this dress belonging to Ruby from Cakies! I have a killer pair of heels that I always blab on about mounting on the wall because they hurt to wear but look so darn good. I wore them 'in' for the first time whilst running an event once - stupid! This is a very sweet idea too and practical. 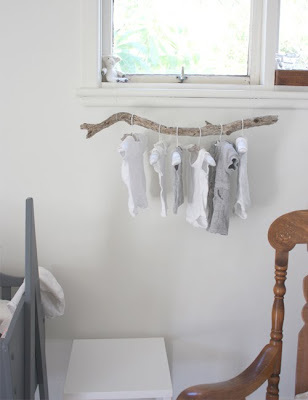 One of my midwives gave me a fabulous tip about hanging up all the baby clothes in sizes so your bub will have less chance of not wearing an outfit at least once. I give baby coat hangers quite frequently. 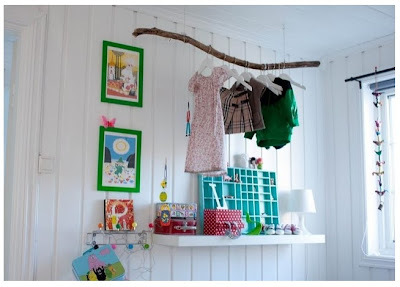 I wonder, if I put a branch like that in my daughter's room would she STILL throw all her clothes on the floor?